Playground injury data is typically taken from children arriving at a hospital emergency room for treatment. This information provides an opportunity to review your playground and analyze problem areas where most injuries occur. Playground injury fact sheet telling where and how children get injured. 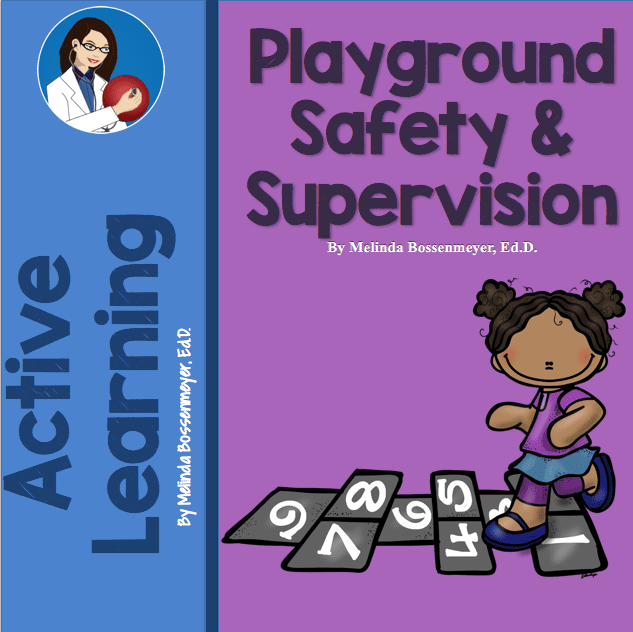 Author: Melinda Bossenmeyer, Ed.D.Playground injury data is typically taken from children arriving at a hospital emergency room for treatment. This information provides an opportunity to review your playground and analyze problem areas where most injuries occur. Melinda Bossenmeyer, Ed.D.Playground injury data is typically taken from children arriving at a hospital emergency room for treatment. This information provides an opportunity to review your playground and analyze problem areas where most injuries occur. A school’s best defense in court is a well-trained supervisor. Annual training for Playground Supervisors should occur in order to ensure student safety. Our Playground Supervisor Training and Certification is convenient and cost effective. We offer this course online. The Peaceful Playgrounds Online Playground Supervisor Training and Certification are designed to introduce administrators, teachers, substitute teachers, physical educators, parents, after-school personnel, and playground supervisors to the responsibilities and techniques associated with keeping children safe on a playground. 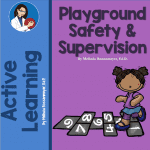 Playground Supervision Featured Article Entitled: Playground Liability:Accident or Injury? CPSC advisory and safety alert about putting playground equipment on hard surfaces.